Besides design, Arvind would co-create and supply them the finished product after manufacturing. Ahmedabad-based Arvind Ltd expects Rs.10,000 crore business from its textiles business in the next four to five years, with the plans of investing Rs.1,500 crore in the textiles business to expand capacity of its existing units as well as set up new facilities. The company is looking for new opportunities of is exploring newer areas such as athleisure, where it is sensing a more business and sales. The company expects to continue its CAGR growth of 16% and above in the coming years, he added. 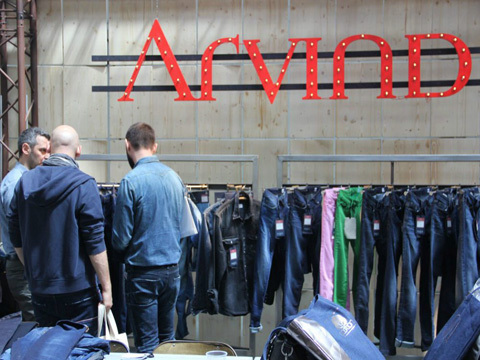 Arvind Ltd. is in the process of demerging its branded apparel and engineering businesses. It has plans to list its branded apparel business, Arvind Fashions, into a separate entity. Arvind Ltd. is in denim, knits & wovens and voiles textiles segments. Denim contributes a large chunk at present, he said, adding that the company is also going for verticalisation. He said, "Rather than just manufacturing fabric, a large part of it would be converted into garments as well," adding, "the significant customer base which we have, we would be one stop supplier for them and give them entire thing end to end." Leading brands such as GAP, Levi Strauss & Co, H&M and Patagonia are its key customers. Arvind Ltd. today showcased its exclusive denim collection here named 'GRAVITY' along with Invista, one of the world's largest integrated producers of fibres at its annual event called Arvind FESTIVE 2018. FESTIVE 2018 also witnessed the launch of futuristic denim technology brands like E-Indigo, Boomerang 360, Boomerang Bounce, Chrome Cord and Hybrid Chinos.